Mark your map locations as you try different hunting spots, so you can always see a history of your hunting locations along with various conditions. Hunting success or failure can often repeat in each spot when the same conditions are matching. Different colored pins will match your own rating that you give each hunting spot along with showing your current position on the map at all times. 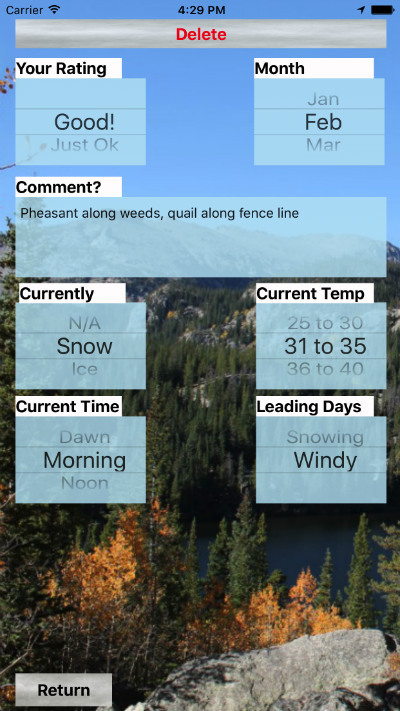 Future hunting trips will allow you to simply tap the colored pins on the map showing whether you previously had success or not in each different location around you. It also includes a comment box so you can give your own additional detail for each hunting area. You can zoom in and out, and move the map around to view other areas and view your current location. 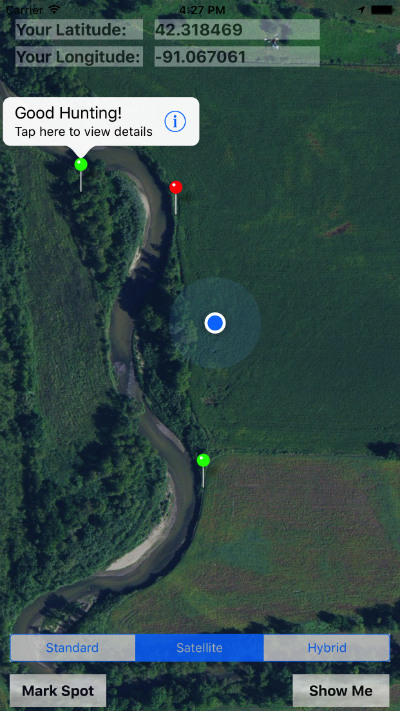 This information is kept private on your phone only, so your hunting spots can remain your own secret over time. In future years, your hunting history will become more and more accurate, and you will enjoy having a history to look back on.